My name is Nathan Blackstock. I grew up on the West Coast in a small town, and now reside in Vancouver where I work at an Advanced Care Paramedic for the BC Ambulance service. Outside of work, I am a race director for my home town triathlon and other community events around Vancouver. Prior to working for BC Ambulance, I was an accounting clerk at St Joseph’s Hospital and Department sales auditor for Mount Washington Resort. I currently the Vice President of my Strata Council and over see the annual budget for the large condo complex. I have been involved with CMAT in different capacities since almost the beginning of the organization. Haiti was my first deployment where I was the Team leader and assisted with the transition and integration with the JPHRO group. I am looking forward to the opportunity to work on the board and future endeavours that CMAT takes on. I am interested in letting my name stand as a nominee for the CMAT Board of Directors. I believe I can bring strong leadership to the Board of Directors, increase our profile in Canada for CMAT, address the volunteer roster for easier access to candidates for deployment and develop a sustainable fundraising strategy. I believe in and am committed to providing the highest standards in disaster relief where it is needed, working with the UN, WHO, the host government and relief workers in a compassionate, efficient and professional way, adapting to the cultural practices of the regions in which our team practices. 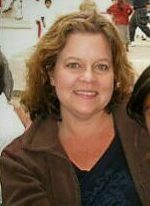 I have been an ongoing volunteer with CMAT since November 2005, deployed to Pakistan (2005 earthquake), Bangladesh (2007 floods), Kenya (2007 developed clinical, outreach and prenatal programming – Caring Partners Global), Haiti as the first team leader during the 2010 earthquake and Nepal (May 2015 earthquake). Our Haiti team treated over 350 people a day, managed an efficient triage system with an excellent and compassionate flow of patients through the field hospital. As team leader I supported and facilitated the individual and group issues during periods of staff pressures and individual health needs. I have experience with media, marketing, fundraising and volunteer recruitment in other aspects of my professional career. I have been a nursing leader throughout my career. I am presently the Past President of the Registered Nurses’ Association of Ontario, Past VP of the Nurse Practitioners’ Association of Ontario, current President of the Amherstburg Chamber of Commerce, I am a former Municipal Councillor and have a good negotiating skills. I am registered with the CNO as an Nurse Practitioner. I have Sphere training. Nathan Kelly completed the Brock University Bachelor of Science in Nursing program in 2010. He is past president of the Nursing Students of Ontario Interest Group, and past president of Niagara Chapter of the Registered Nurses’ Association of Ontario (RNAO). 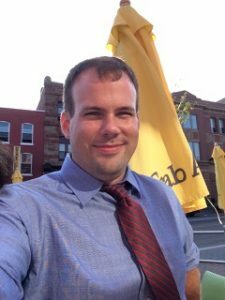 Over the years, Nathan has been a strong voice on the New Graduate Guarantee steering committee, the Provincial Nurse Educator, Policy and Practice committees, as well as a student member of the Nursing Leadership Network Board of Directors. Nathan has previously held a key position in shaping nursing and health policy in Ontario as Member-at-Large, Socio-Political Affairs, RNAO Board of Directors. Nathan demonstrates an ongoing commitment to CMAT’s principles and vision through his volunteerism and continued membership, as well as active participation in CMAT events including assisting facilitation of SPHERE workshops in Toronto and active participation in CMAT meetings. He believes that continued networking and collaboration with all provincial, national, and global actors gives CMAT the leverage to effectively engage in advocacy amongst international NGO’s, and the shaping of disaster response through evidence based research. He has been a proud CMAT member since March 2010 when he was deployed to Haiti as part of team 7. Nathan is a strong ambassador for CMAT, contributing to CMAT’s visibility and credibility through networking and promotion on a global scale and attended the Global EMT summit in Hong Kong in November 2016. Nathan believes he will bring positive energy, knowledge and insight to the position of director on the CMAT Board. Nathan currently holds the position of Director-Secretary on the CMAT BOD since November 2014 after being voted into the position. Nathan currently practices in the Niagara Region Mental Health Program, on the Assertive Community Treatment Team (ACTT) serving persons across the lifespan afflicted with severe and persistent mental illness. He completed his Masters of Science with specialization in Disaster Healthcare from the University of South Wales, United Kingdom in 2015. Nathan plans to pursue a PhD in the near future with a focus on International Development. Dr. Jeanne LeBlanc began volunteering with CMAT in 2010, providing behavioural health support and consultation to the organization. Jeanne has continued to be involved with subsequent deployments, assisting in preparation and return for CMAT volunteers, as well as assisting in problem-solving related to behavioural health needs of responders and those impacted by the disasters, as needed. Jeanne has an extensive background in disaster response, with a variety of organizations. 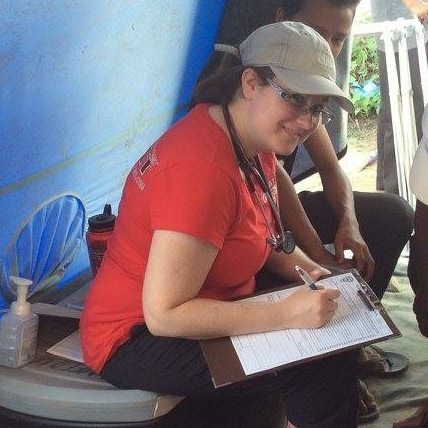 Beginning with Hurricane Katrina, Jeanne has worked with groups of medical teams to provide care to those impacted by the event as well as providing basic deployment support to the volunteers. She utilizes an evidenced-based approach of providing psychological first aid, psycho-education, stress management and general worker care, believing that any response needs to be practical, culturally relevant, and consistent with best practices. Deployment settings have included Haiti, Guatemala, US, Canada (most recent, Fort McMurray), and Malawi. 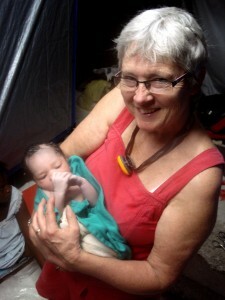 Since 2004, Jeanne has developed and implemented an international NGO’s behavioural health volunteer program; represented BC psychologists to the American Psychological Association’s (APA) Disaster Resource Network; represented Canadian psychologists to APA’s Disaster Resource Network Advisory Committee; represented psychology and assisted in developing BC’s Disaster Psychosocial Services (under Provincial Health Services Authority); participated in an international think-tank (SIMTEC) focused on behavioural health and the EOC/first responders; and is the first non-physician to become a member of the American Academy of Disaster Medicine. She has provided disaster-related trainings to first responders and others throughout BC, physicians in the US and China, published in peer-reviewed journals, and has given invited and academic presentations globally. Jeanne’s vision for CMAT is for the organization to become internationally recognized as a well-trained, professional, and effective Emergency Medical Team, following best practices according to Sphere Project Standards. She would like to further develop training and deployment opportunities for volunteers, and contribute to the overall vision of the CMAT team. My name is Tracey Pugh, and I am currently in Florida for the next 4 weeks training for a new job in Arizona for a level 1 trauma center as a CVICU nurse. I graduated from Mount Royal University in 2012 where I obtained my Bachelor of Nursing degree. My previous work experience as an RN has been in a pulmonary thoracic surgical ward, general medical/surgical ward, and an ICU/CCU all in Calgary, Alberta. I deployed with CMAT to Nepal as a member of team 3 for post-earthquake medical relief and I am also a current member of the education committee. I have a passion for travel and have had the opportunity to travel to many places in the world. I feel that my travel experience has enhanced my understanding of the struggles faced in third world countries and both the positive and negative aspects that disaster relief can bring. I am committed to continuously learning more about disaster relief and what priorities and needs are important to help leave a sustainable impact on the places we help. I am willing to commit as much time as necessary to help make CMAT a continued success. I am proud to have served with CMAT in the past and look forward to continuing my work with them.